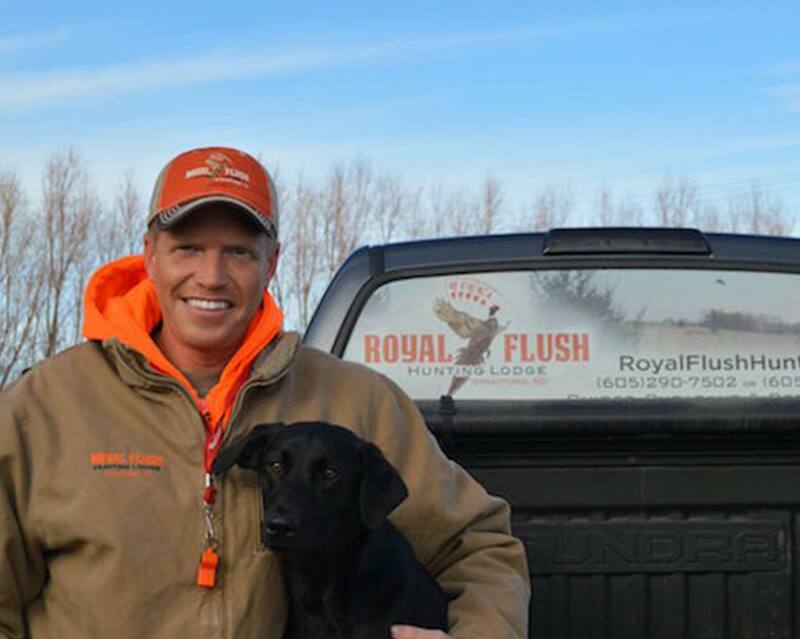 The staff at Royal Flush has one thing in mind – to make sure that the hunters have the most memorable experience possible. We take a lot of pride in the possibility to make that come true and to create long lasting friendships. The hunting is amazing, the food is outstanding, and the fun is unforgettable. From all of us here at Royal Flush, we want to thank you for checking us out and we hope to hear from you soon! I was born and raised in the Dakota’s, earning vast knowledge of the land and the wildlife. Being raised on hunting, I have been doing it ever since I was old enough to hold a gun. The passion of watching the dogs work and the excitement of flushing up pheasants keeps me going every day. I have ran dogs in hunting tournaments and have taken several state championships including Missouri, Wisconsin, Minnesota, South Dakota and Iowa. For the last 6 years, I have been guiding pheasant hunters as a hobby and have finally been fortunate enough to run a hunting lodge. The determination to make sure that clients have the best possible hunt and the desire that they will hopefully make it a tradition to come back year after year is what gives me the drive. With amazing hunting land and top-notch hospitality, I am positive that this is an experience you will never forget. So come on over and lets hunt ‘em up! 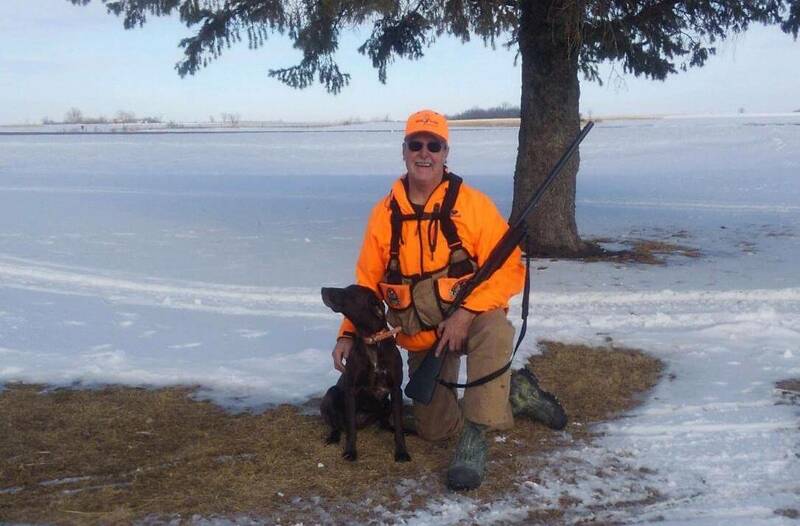 I was born and raised in Western MN and grew up hunting and fishing the Lac Qui Parle area. I am truly passionate about pheasant hunting and competing with my Pointing Labs in the Bird Dog Circuit Tournaments, not to mention elk hunting in Colorado, wild turkey hunting, walleye fishing, whitetail & mule deer hunting. By day, I am a Substation Foreman/Lineman with a major power company. The rest of my free time is spent outside with my dogs on my farm getting up the birds or guiding hunts in Minnesota and South Dakota. My yellow lab Dixie won the 2013-2014 NATHA Puppy of the Year and then the 2014-2015 NATHA Top Dog of the Year awards in Flushing. I also have Dixie’s sister, Harley, and they are both competing in the National Bird Dog Circuit for Region 1. My phenomenal dogs were professionally trained at West County Kennels in Glencoe, MN and have hunted in MN, SD, WI, IA, NE, and KS. We are excited to hunt with you and have an unforgettable South Dakota pheasant hunting experience. Hello, my name is Curtis Kline. I am one of the hunting guides at Royal Flush Hunting Lodge. I was fortunate to grow up in a family that loves the outdoors. I was tagging along on many hunts years before I held my first shotgun. Hunting has provided countless positive life experiences for me. I truly enjoy helping others gain these positive experiences for themselves through hunting. Don’t think you need a group of 20 pheasant hunters to enjoy a successful hunt. I specialize in small group hunts. I like the one on one contact with each hunter that a small group provides. Smaller groups also allow me to cater to exactly the style of hunt that you are hoping for. 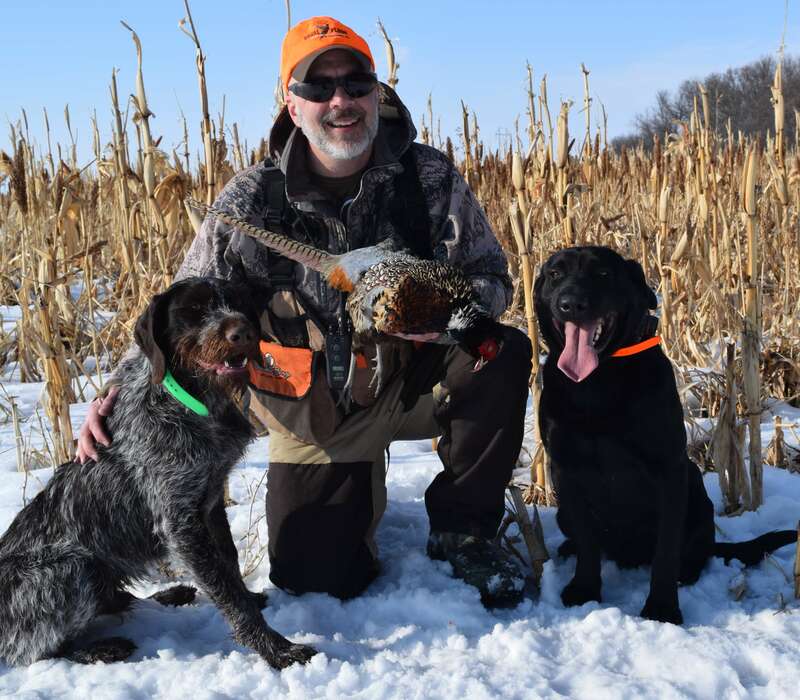 Join Otto,( Black Labrador), Lt. Dan, (German Wirehaired Pointer) and I this fall and we will do everything in our power to help you enjoy a successful hunt. 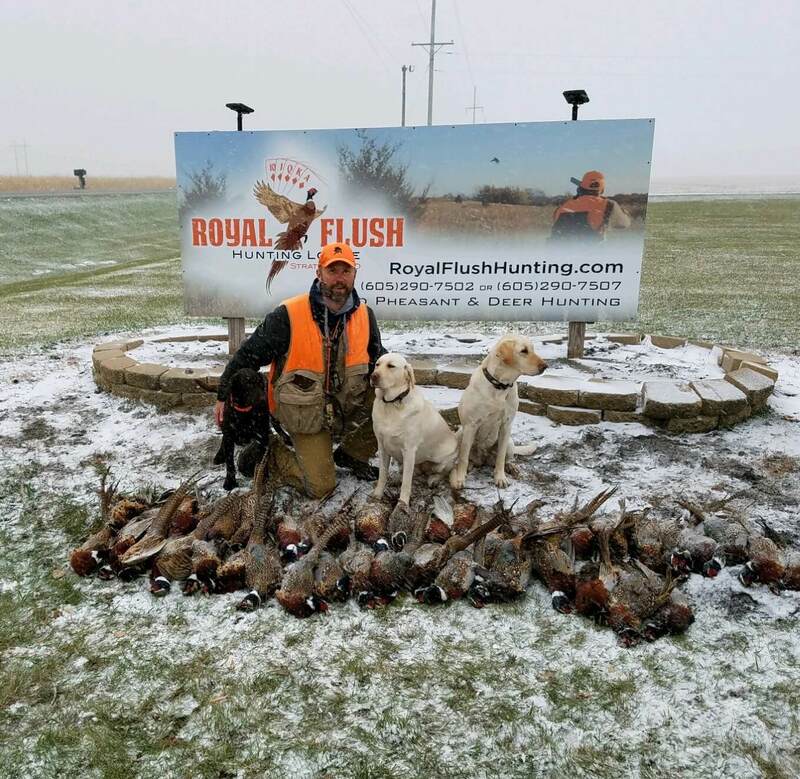 Don’t be intimidated into thinking you have to be an experienced pheasant hunter or hunter in general to enjoy a hunt with Royal Flush. I have a background in firearms instruction and safety as well as adult learning concepts. I am willing to work with first time or novice hunters to give them a chance to get out in the field and enjoy a great hunting experience. If you have any questions please contact me through the Royal Flush email and I will get right back to you. I look forward to our hunt together. Hello, my name is Jim Ganser. I am fortunate to be one of the hunting guides at the Royal Flush. I was born and raised in the Aberdeen area and left to attend college in Rapid City, SD. I currently have 21 years in the law enforcement field and a background in Firearms. I am currently a firearms instructor for the State of South Dakota. With that everyone safety is a prime concern and my priority. 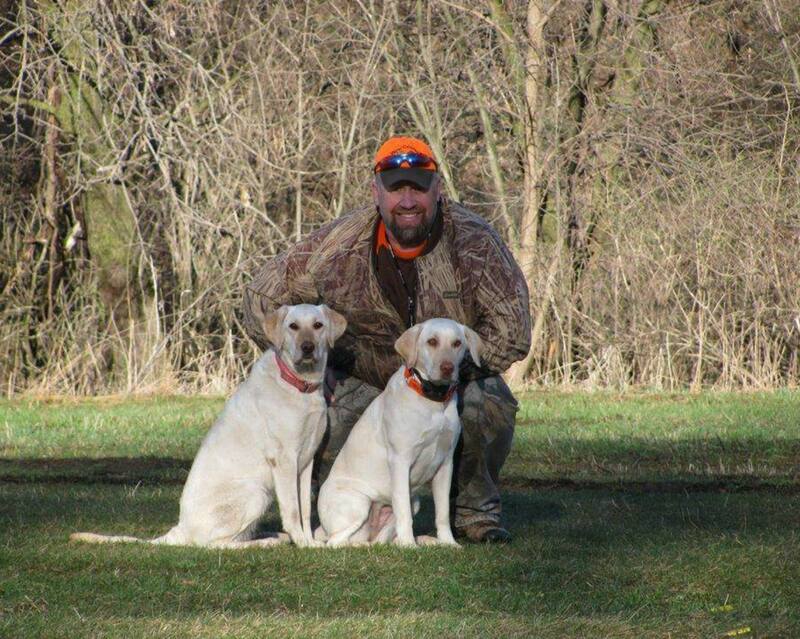 I own and have trained my three labs (Skyler, Aspen, Bear) and truly enjoy pheasant hunting all over South Dakota. My passion for pheasant hunting comes from growing up in the Aberdeen area. The birds’ incredible colors, speed, and ability to hide in short cover is amazing. There isn’t a wall in my residence that doesn’t have some type a pheasant photograph on it, and I would love to help you start or add to your collection! This will be my second season helping out Royal Flush it truly is a five-star hunting lodge. Through my involvement with Royal Flush last year I was able to help guide people to a great pheasant hunts from all over the United States. Having a chance to connect with the groups and really get to know them and enjoy our time together is why I wanted to come back. If you have a large group or small group, we can accommodate them all. There are different hunting food plots to accommodate the different sized groups. Whether this is your first pheasant hunt or you’re an experience pheasant hunter my goal is to make sure you have an amazing time! I was born and raised near Barnard, SD. I started working for Melroe Bobcat in 1974, where I was a Draftsman, Brake Press Operator ,Welder, QC Inspector, Tape Lathe Operator, and a Tool Maker in the Tooling Dept. After 43years there I retired in June 2017. I also did part time Police work in Gwinner, ND and part time Deputy Sheriff in Sargent County between 1980 and 1990. In April 30, 1975 I married my long life mate Jackie (Dockter) Stoddard in Leola, SD. We now live by Stirum, ND on a small Hobby Ranch (RS Walking Horse Ranch) where we have a Tenn. Walking Horse, German Shorthair dogs, and numerous cats. I love working with horses and dogs, spending time with the grandkids, hunting, fishing and the fresh smell of hay in the barn. And now I guide at the Royal Flush Hunting Lodge. Life with the Lord and retirement is great. Hope to see you all there and happy junting. I’ll do my best to give you a great hunt. Ready for your next South Dakota Hunting Adventure? Our staff is ready to make your next visit to South Dakota Memorable. If you have any questions – please do not hesitate to contact us, we would be more than happy to answer any questions.